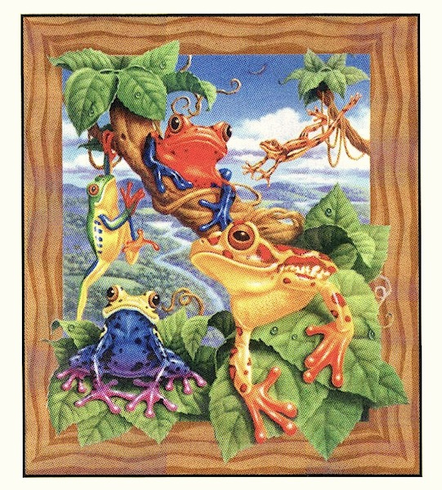 Come swing in the trees with this tree frog puzzle. The 200 piece puzzle will measure 15.5"x18" when completed. This puzzle is Eco-Friendly and printed with Soy-Based Inks on Recycled Board. Proudly made in the USA.